I’m proud of it, and had gotten many compliments on it, as well as requests for classes. So many people indicated they wanted to learn to knit this, that I scheduled two sessions and they both filled right up and now there is a waiting list, waiting for me to schedule another! 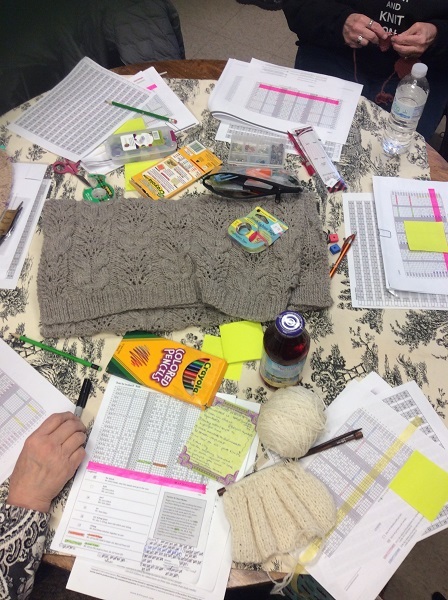 A big chart, highlighter tape, stitch markers, colored pencils, beverages. All essential to this class. The only thing missing was the chocolate. 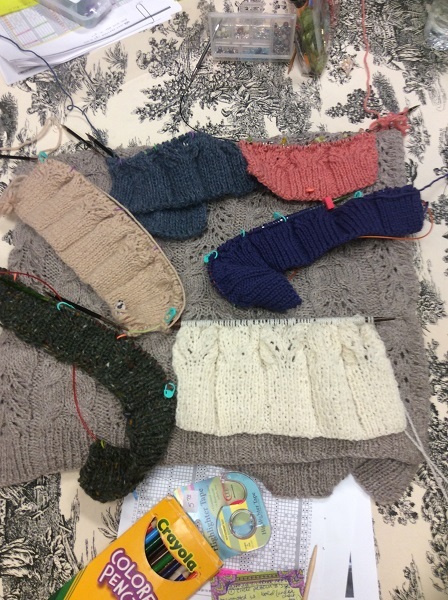 The next session is coming up this weekend and I can’t wait to see the next participants’ yarn choices. The third session will be scheduled pretty soon, probably for March or April, so if you are local and interested in taking the class, contact The Spinning Room! Paul’s vest is on hold for the moment during this distraction. What? Like that never happens to you. 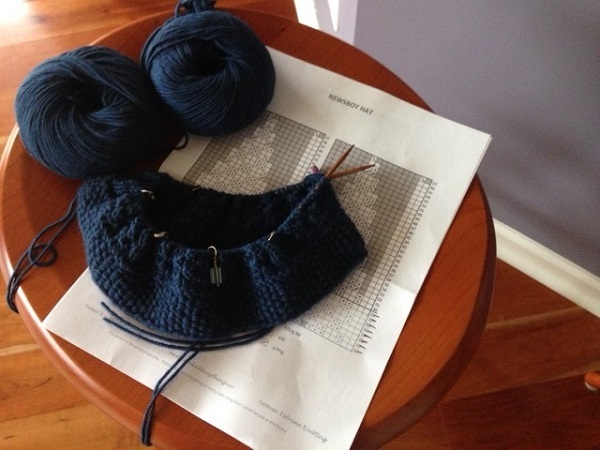 Posted in Uncategorized and tagged knitting class, newsboy hat, wheaten on February 5, 2016 by lizytish. Your Wheaten Wrap in the designer’s yarn is gorgeous. 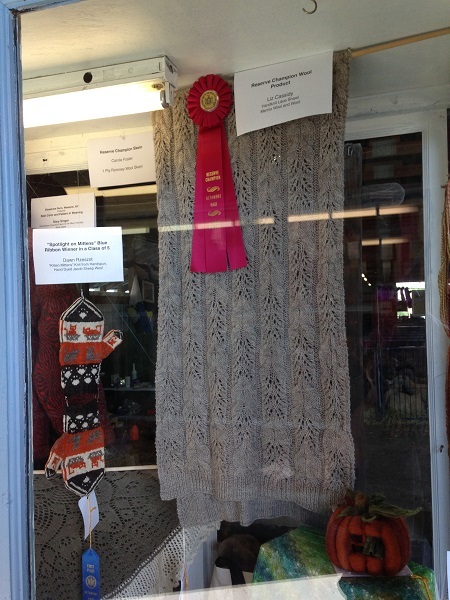 Did you ever connect with the designer to let her see the prize-winning finished product? Thank you Libby! I didn’t let Anne know yet, but I should!